Some people really hope to get a job offer from a job fair. 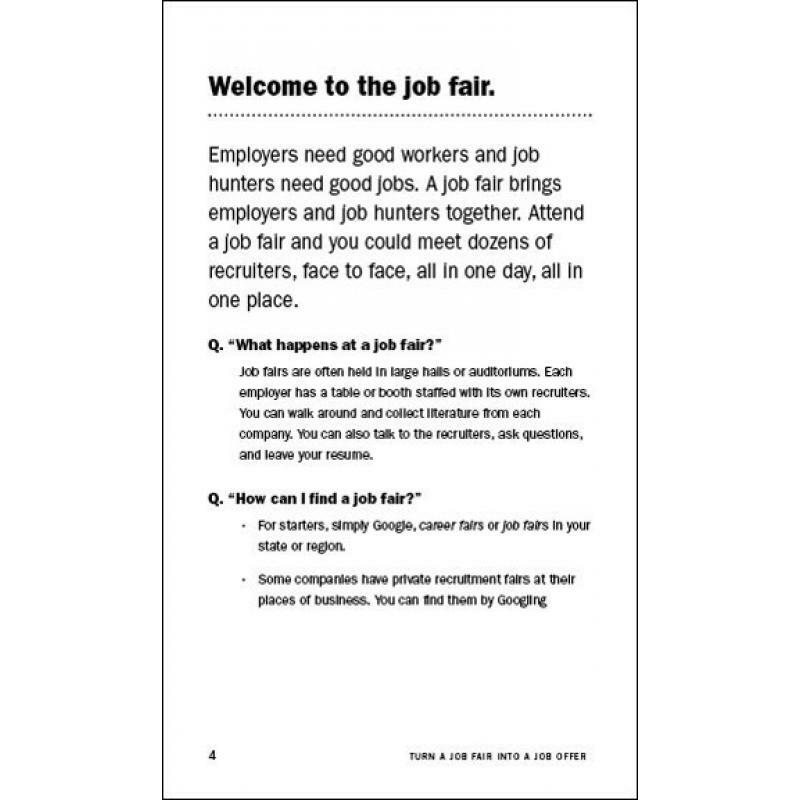 Too many job hunters go to a job fair with high hopes and expectations. And sadly, too many go home disappointed. THIS SMART, LITTLE 24 PAGE HANDOUT CHANGES EVERYTHING. Your job hunters will learn how to set job-fair goals, develop their plans, and work their plans to get the jobs they want. 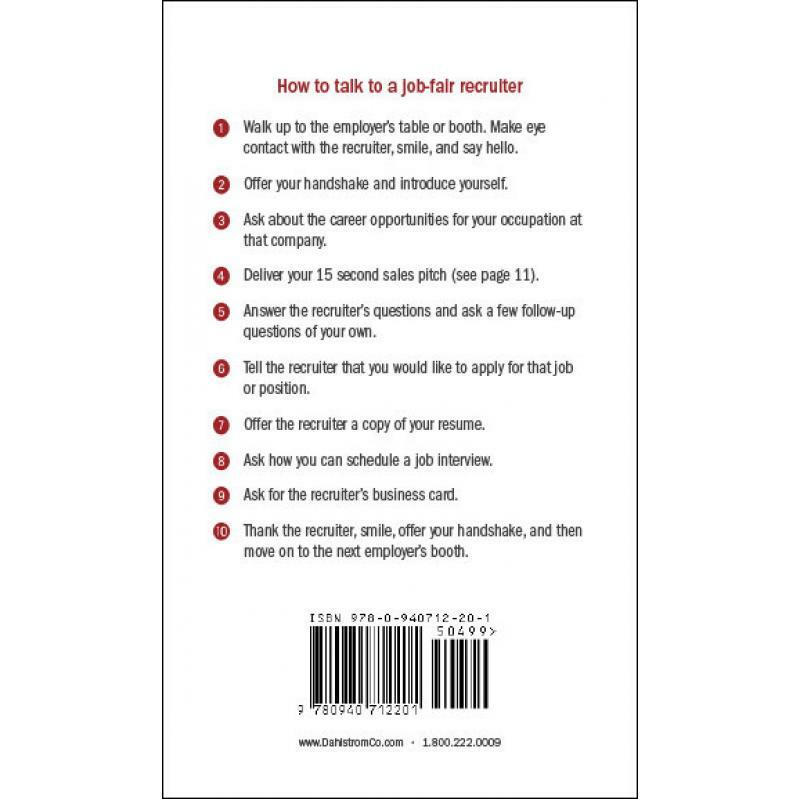 In less than 100 words, the back cover explains how to approach, engage, and impress a job fair recruiter. It’s a great, little read while waiting in line to meet a recruiter. they’ll learn how to deliver a great handshake, how to pull together a simple sales pitch, which questions the recruiter is most likely to ask, and which questions they should ask the recruiter. — even with recruiters they didn’t get to meet. They’ll see why it’s important to get each recruiter’s business card, what to do with those business cards after the job fair, and how to be pleasantly persistent. See for yourself— take it for a test drive. 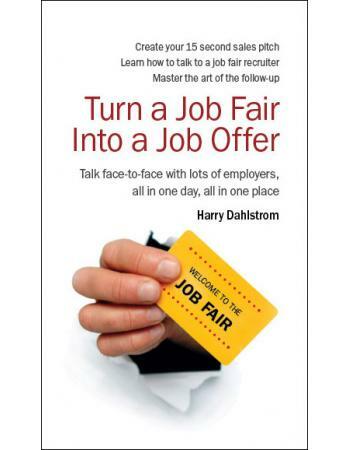 Try 100 copies of Turn A Job Fair Into A Job Offer. Let your job hunters decide. If they aren’t impressed, return the books for a prompt refund. 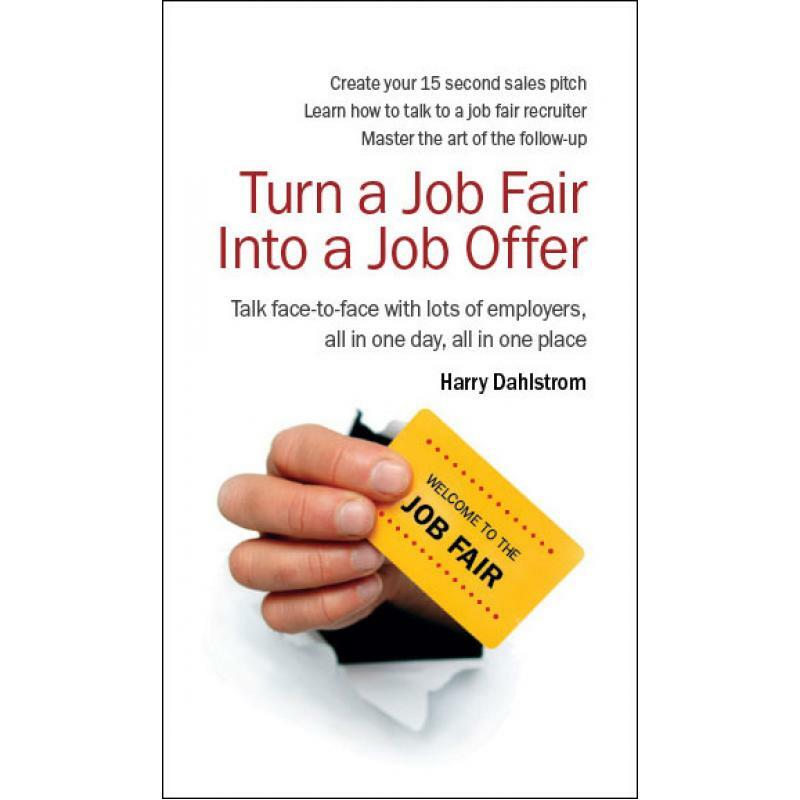 Order today and Turn A Job Fair Into A Job Offer can be on your desk in 3-5 business days, anywhere in the USA. Shipping if free when you order 100 copies. Call us at 800-222-0009. We try very hard to answer every call with a live, smiling, human being— before the third ring (M-F, 9-5, EST).